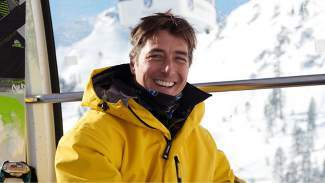 Join Chief Mountain Host and Olympic Gold Medalist Jonny Moseley on a free two-hour mountain tour of Squaw Valley this weekend. 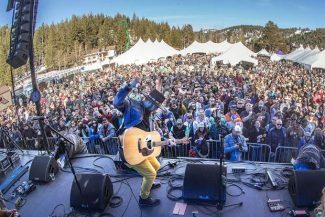 TAHOE-TRUCKEE, Calif. — Below are the Sierra Sun’s picks for the Top 10 events to check out this weekend at Truckee and Lake Tahoe. Have an event you want considered for a future Tahoe Ten calendar? Email reporter Kaleb M. Roedel at kroedel@sierrasun.com. Blue Haven, a boogie blues band based out of Reno, will bring its up-beat, swaggering stylings to the CBC for a free “Xmas Day Blues” show Friday in the Red Room. 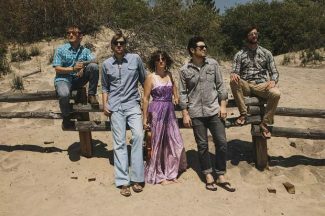 The Ideateam, a nine-piece musical collective based out of Sacramento, will showcase its eclectic grooves Sunday for a free show in the CBC Red Room. Dave Lockhart, bass player of the five-piece alt-country outfit Dead Winter Carpenters, will lead his side band in a free performance Saturday at Moody’s Bistro, Bar & Beats. Kick back for some easy listening in downtown Truckee when Eric Daniel, a new age pianist who hails from San Diego, plays a free show on Christmas Day. Bourgeois Gypsies, a freewheeling band that fuses punk and countrified blues, will perform a free show at Bar of America on Saturday. Singer-songwriter Mark MacKay, an acoustic roots rocker channeling Steve Earle and Townes Van Zandt, and his backing band will play a free show Sunday at Moody’s in Truckee. To give people time to open their presents Christmas morning, Tahoe Donner Cross Country Ski Area will open at noon and be offering half day trail pass rates until 5 p.m.
Join Chief Mountain Host and Olympic Gold Medalist Jonny Moseley on a free two hour mountain tour of Squaw Valley this weekend. If you miss Moseley on the slopes, join him afterward for a poster signing. 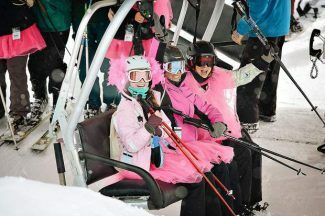 Stella at The Cedar House Sport Hotel will offer its new Aprés Ski Pop Up dinner Sunday-Tuesday. Stella Pop Ups are creative dining experiences featuring one menu and one seating, and each course includes interesting information from Stella’s knowledgeable kitchen team. When: 6-8:30 p.m. Sunday-Tuesday, Dec. 27-29. Eric Clapton fan? Head to the South Shore and check out Kevin Russell, guitarist extraordinaire and vocalist, pay homage to Eric Clapton’s expansive songbook with his tribute band Cream of Clapton.